The Old Globe has announced the cast and creative team for the Old Globe/University of San Diego Graduate Theatre Program presentation of William Shakespeare’s Pericles, Prince of Tyre, directed by Ray Chambers, running Nov. 15 – 23. (Opening night is Saturday, Nov.15 at 8:00 pm.). 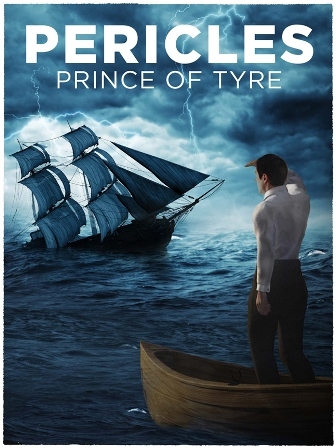 Pericles, Prince of Tyre is a startling epic of the trials, heartbreak, and redemption of a warrior who must navigate the dangerous currents of human corruption and angry fate. Join him as he travels across the treacherous oceans of North Africa, ancient Syria, Turkey, and Greece and is forever changed by the comically exotic and morally vague figures he meets. Love, betrayal, laughter, and adventure unfold in this engrossing, yet seldom produced, Shakespearean gem. The cast features Amy Blackman (Thaisa), Maxx Brawer (Cleon), Lindsay Brill (Bawd), Charlotte Bydwell (Lychorida, Diana), Lowell Byers (Pericles), Ally Carey (Dionyza), Jamal Douglas (Simonides), Tyler Kent (Helicanus), Jake Millgard (Cerimon, Pandar), Makha Mthembu (Marina), Daniel Petzold (Boult),Megan M. Storti (Gower), Nathan Whitmer (Antiochus, Leonine), and Patrick Zeller (Lysimachus, Thailard). The creative team includes Sean Fanning and Brian Redfern (Scenic Design),Elisa Benzoni (Costume Design), Jason Bieber (Lighting Design), Melanie Chen (Sound Design), Jan Gist (Voice and Speech Coach), Brian Byrnes (Movement Coach), Nicole Ries (Production Stage Manager), and Ryan Heath(Assistant Stage Manager). A joint venture of The Old Globe and the University of San Diego, the Master of Fine Arts in Dramatic Arts program nationally recruits seven students each year to participate in an intensive two-year, year-round course of graduate study in classical theatre. Private funding for the Master of Fine Arts in Theatre program has been contributed through a generous endowment established by Donald and Darlene Shiley. Additional support for the program is provided by The Dorothy Brown Endowment Fund and the Louis Yager Cantwell Foundation. For additional information, visit www.globemfa.org. Tickets to Pericles, Prince of Tyre can be purchased online at www.TheOldGlobe.org or by calling (619) 23-GLOBE.